We believe in aggressively fighting for and protecting the rights of those who have been arrested and charged with criminal offenses in the state of Pennsylvania. You don’t have to plead guilty to DUI charges. We can assess the factors of your case, weigh your options, and walk you through the legal process to get your charges significantly reduced or completely dismissed. One of the most stressful aspects of divorce or separation is deciding who gets custody of a child and how this will be arranged. With the guidance of a skilled attorney, this complex process is likely to go more smoothly. Whether you are facing criminal charges or are contemplating a divorce, legal representation is important. 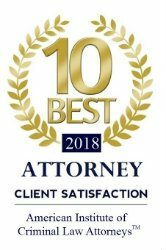 Criminal defense and family law attorney David J. Cohen is devoted to serving the needs of the people of Pottstown, Pennsylvania, and surrounding areas. 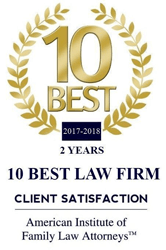 At the David J. Cohen Law Firm, LLC, we strongly believe in prioritizing your interests and working hard to provide you with excellent service that gives you the best results possible. We empathize with our clients and understand that the legal issues they are facing can have a longstanding impact on their lives. We also understand that each case is highly individualized and will work tirelessly to find the best solution for each client's specific circumstances. We offer a broad range of legal services under two areas of law: criminal defense and family law. Being arrested and charged with a crime is scary. With Pennsylvania's relatively strict laws, tough prosecutors, and eager law enforcement, it may seem as if the cards are stacked against you. But with the assistance of a criminal defense attorney, you can level the playing field. By protecting your rights and fighting for your freedom in court, a skilled legal professional can get your criminal charges significantly reduced or completely dismissed. For first-time offenders, an attorney can also get your case put into the hands of ARD, a state program that is designed to dismiss your charges altogether as long as you stay out of trouble. Divorce in all of its aspects - child custody, property division, child support, etc. - is a stress-inducing topic for our clients. Whether you are the divorcer or the divorcee, you can benefit from the legal advice and guidance of a skilled attorney. Let a legal professional handle the obligations while you move on with your life. You need an attorney who understands the legal system and will fight for you. Contact the David J. Cohen Law Firm, LLC today for a consultation. If you are looking for compassionate and aggressive legal representation in the Five Counties, Montgomery County, Bucks County, Chester County, Delaware County, and Philadelphia—Prior Professional Philadelphia Police Officer— then look no further and trust in the David J. Cohen Law Firm, LLC.